Just like human babies, puppies and kittens need extra medical attention during their first year of life to ensure they get off to a good start. Unfortunately, some new pet owners in Newport Beach, CA, avoid getting the necessary vaccines and exams due to cost concerns. Puppy and kitten health plans are the perfect compromise. They allow you to get your pet the care he or she needs for one low and convenient monthly payment. You won’t have a surprise when the bill comes since you have paid for services in advance. Kittens receive all the above services in addition to a test for the feline leukemia virus and feline immunodeficiency virus. The vaccinations we give to kittens in the first year of life include rabies, distemper, and feline leukemia. 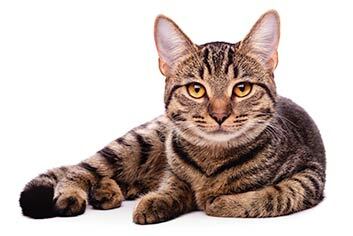 Several other vaccines may be appropriate depending on your young cat’s lifestyle and risk factors, including whether your cat regularly goes outdoors in Newport Beach, CA. Some people are willing to pay a little more each month in exchange for having more services covered. We may be able to offer you puppy and kitten health plans that include a pre-surgical blood panel and a significant discount on spaying or neutering. At Newport Center Animal Hospital, we are happy to do our part to encourage responsible pet ownership and happy, healthy pets. A healthy and properly vaccinated pet will bring joy to your life for years to come. Please call (949) 644-5460 for instruction on how to enroll in our puppy and kitten health plans.